Catching oral cancer right away will increase the chances of successful treatment and survival. Tobacco and heavy alcohol use are the main risk factors. 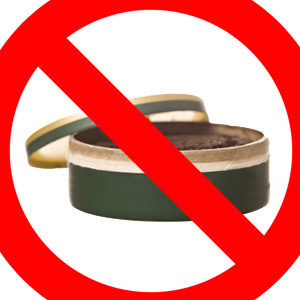 More specifically, chewing tobacco and snuff are the two biggest culprits for cancer of the gums, lips and cheek. Men are also more at risk for oral cancer than women, and it’s often found in those over the age of 45. Poor nutrition, immunosuppressive drugs and HPV infections are also some other oral cancer risk factors. So when should you visit our Wheaton dental practice for an oral cancer screening? Everyone should come in for a screening at least once a year. This is especially important for those who smoke or drink heavily. It’s important to have an annual oral cancer screening, as it’s the best way to catch it in its earliest stage when treatment is more successful and the prognosis is better. What can you expect during your oral cancer screening? This is a fairly simple and straightforward checkup that only takes about 10 minutes. We will examine your nose, mouth and throat; then we will check the skin around the neck and head, and feel for any lumps. What if you find an abnormal sore? Take a deep breath. You’ll be happy to know that most abnormal mouth sores are noncancerous; however, if we do find one, further testing will be recommended and you will most likely come back for a follow-up visit a few weeks later. We may even perform a biopsy so we can take a tissue sample of the sore to test for cancer and other causes. If you’ve noticed any unusual or abnormal sores or bumps in your mouth, be sure to call our Wheaton dental office right away so we can get you a much-needed appointment. The sooner we can determine the root cause of your mouth issues, the sooner we can treat you and get you back to good health.